Our client is a is a premier global provider of responsive management consulting, logistics solutions, and professional services, delivering quantifiable cost savings and improvement in mission readiness to our customers. They are currently seeking a Workforce Analyst in Washington D.C. 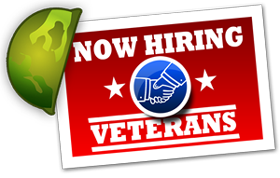 Provides Workforce Analyst support to the SEA 10 Corporate Operations and Total Force Directorate with ongoing data analysis, modeling and forecasting support and briefings pertaining to the organization's workforce and the health of the organization. Provides analysis and understanding of workforce data. Develop products by implementing the defined analytics and modeling methodology. Collects reporting requirements, conduct operations research studies, and aggregate and synthesize data from authoritative systems into metrics and analytics. Designs models, tools for workforce planning, and forecasts to facilitate recruitment, development, and retention of workforce excellence. Analyzes NAVSEA workforce demographics, attrition trends, etc through the development of sophisticated metrics. Organizes and builds suitable data models, prepare briefings for senior leadership, and perform extensive data validation. Provides in person and remote training to users and peers on developed features, capabilities, reports, dashboard, and metrics. Documents all requirements, development activities, tacit and implicit knowledge as a resource for users and the 10A team. As necessary leads small teams of analysts to complete large projects and present projects/briefs to leadership. 7 to 11 or more years of professional and relevant experience. 4-year degree in engineering, computer science, mathematics, or related majors. Other Requirements: • Advanced knowledge of statistical analysis techniques. • Advanced knowledge of statistical modeling and simulation techniques. • Advanced knowledge of statistical computing languages such as R or Python. • Advanced ability to use Excel various statistical functionality such as v-Lookup, h-Lookup, pivot tables, and quick charting. • Advanced knowledge of database integrity and security standards. • Ability to analyze complex data with broad parameters and draw insightful conclusions. • Ability to use data analysis tools such as R Studio, SAS, Cognos Analytics, and/or other related tools. • Ability to use statistical computing languages such as R, Python, etc to analyze complex data sets. • Ability to develop presentations and reports on analysis conclusions for consumption by leadership and line workers. • Strong ability to multi-task and organize work and schedules. • Strong ability to communicate thoroughly and regularly with customers, supervisors, and peers. U.S. citizen with the ability to obtain a DoD Secret clearance.